We recommend you hire a Eastern Window certified professional to check for lead-based paint. These professionals are certified risk assessors or inspectors, and can determine if your home has lead or lead hazards. For additional information regarding the causes and sources of lead, please visit http://www.epa.gov/lead/. 1. Which windows and doors are eligible for the credit? products is $500 --- no more than $200 of the credit can be attributable to expenses for replacement windows and skylights. 3. What percentage of the products(s) purchase price is eligible? Ten percent of the purchase price up to the cap listed in #2 (not including labor or materials for window and door installation). 4. When does the energy tax credit take effect and how long does it last? The 2011 tax incentives revert to the 2005-2008 levels: 10% of the cost installing efficient windows. Anyone who has taken advantage of the 2006-2010 programs cannot apply for incentives that exceed the cap Example: if a consumer claimed $500 in 2006 for a qualifying exterior door, the tax credit is exhausted; if only $300 as claimed in 2009, $200 can still be claimed – for a total of $500. 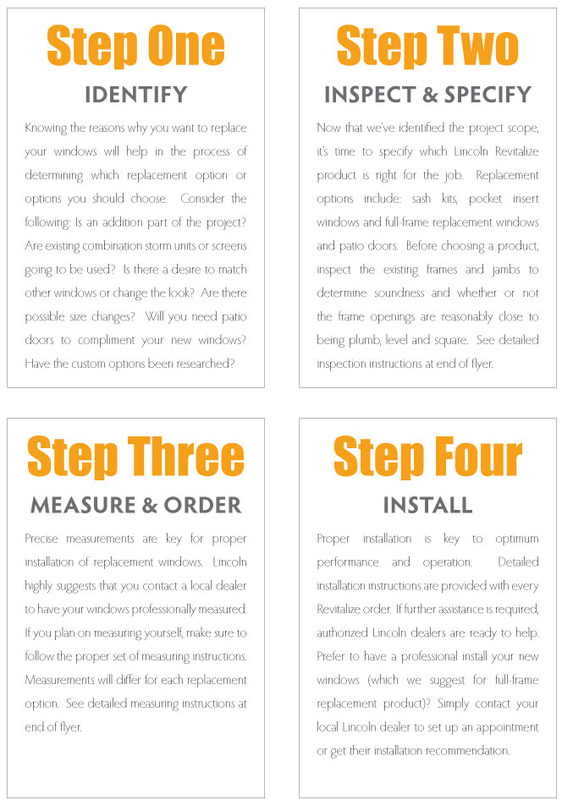 There are a number of reasons to consider installing replacement windows in your home. The technology used to construct energy-efficient frames and glass has improved drastically in recent years. 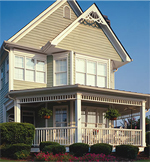 Energy-efficient replacement windows look great, are affordable and reduce energy usage. Energy Star is a trustworthy label that identifies products that are energy efficient and save money. Alside Frameworks Vinyl Replacement Windows. New Frameworks Colors; Beautiful windows inside and out. Features 10-year fade-resistance warranty rider for exterior laminates, in addition to the window's lifetime limited, transferable warranty protection. See printed warranties for complete details.